The Port Fairy Murders is the sequel to The Holiday Murders, a political and historical crime novel set in 1943, featuring the newly formed homicide department of Victoria Police. been festering in Australia since before the war. And now there’s an extra problem: the bitter divide between Catholics and Protestants, which is especially raw in small rural communities. straightforward — they have a signed confession — but it soon becomes apparent that nothing about the incident is as it seems. Written with great verve and insight, The Port Fairy Murders is a superb psychological study, as well as a riveting historical whodunit. I’ve discovered that this is the first novel by Robert Gott that I’ve read. THE HOLIDAY MURDERS was shortlisted for Best Fiction on the Ned Kelly Awards, but somehow I just never got around to reading it. 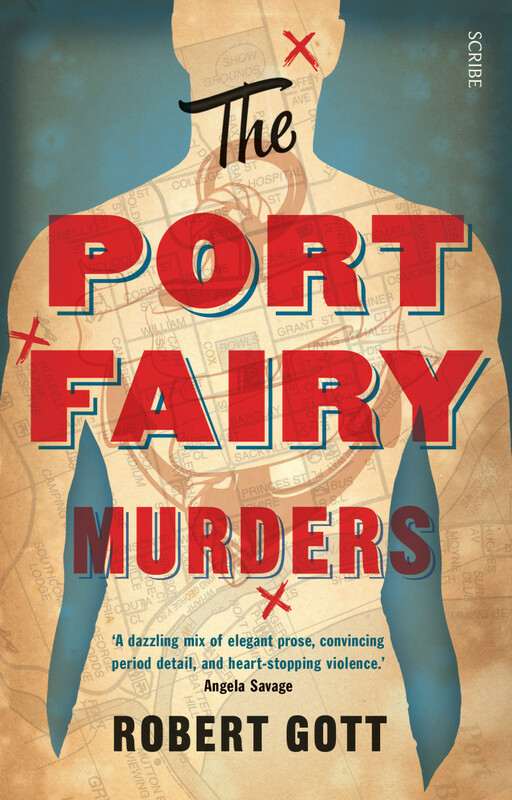 As THE PORT FAIRY MURDERS is a sequel to that title, and the plot takes in some unfinished business from it, it is probably best to read them in order, but obviously I haven’t done that. There are plenty of hints about what happened in the first title, and the characters are well developed. 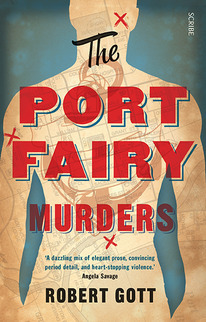 There are some interesting features to the plot of THE PORT FAIRY MURDERS: the historical setting of 1943 which is not only during the Second World War, but also a time when women were not generally employed by Victoria Police except as secretarial staff; the rural location of the murder site; it allows the author not only to explore the restrictions imposed by the war, but attitudes in the general population. The author has left plenty of room for a sequel, for while we know who committed the various murders, there is still some unfinished business. I assume that most Australians who don’t live there associate Port Fairy with summer holidays. I certainly do, having been to the town twice – once on a fondly remembered childhood family holiday and again as an adult. It is jarring to think of the seemingly idyllic coastal spot as the setting for some gruesome murders but, as he did with THE HOLIDAY MURDERS, Robert Gott once again paints a very credible picture of wartime Australia and the dark hearts of some of its inhabitants. This novel is very much linked to its predecessor which probably explains why the author has included a helpful summary of the first novel at the beginning of this one. When it opens the main characters are all still reeling from the brutal events that ended the first book, two in particular are struggling with the physical and psychological damage inflicted on them by Nazi sympathisers. One of the people responsible for that brutality is George Starling who eluded police then and is now set on finishing off the job he started and generally causing havoc and death. To that end he is on the trail of Joe Sable, a sergeant with the newly formed Victorian homicide squad and a man Starling didn’t quite manage to kill in the first novel. In a completely separate thread we meet a Port Fairy family. There’s an elderly lady with a mentally disabled brother and their adult niece and nephew. In a manner that resembles the Golden Age of detective fiction the novel takes the time to establish these characters and their small community with its religious and social tensions before ripping apart the family with a brutal death or two. Although it is an interesting thread in its own right there is no real connection between this story and the hunt for George Starling, aside from the fact that the homicide squad are involved with both investigations, which gives the book a slightly disconnected feel. The characters are a real strength of this novel. The way Joe Sable is dealing with his feelings of guilt over the events depicted in the first novel combined with his dawning awareness of what it means to be Jewish make him compelling. One of his colleagues is Helen Lord who is struggling to be taken seriously. Although her boss recognises her skills and intelligence almost everyone else thinks she is good for not much more than making cups of tea. We see more of Helen outside the office in this installment and learn something of her family history and see her complicated relationship with her mother. I also found the family at the heart of the Port Fairy thread engaging in a ‘my family’s not so bad after all‘ sort of way. I really like the way Robert Gott writes and puts together a story. The combination here of using an interesting time period in our history, filling it with compelling characters and telling a story that unfolds in unexpected ways makes THE PORT FAIRY MURDERS an above average read. I’d recommend the book to anyone but do think it would make for a more satisfying reading experience after having read the first novel in the series. 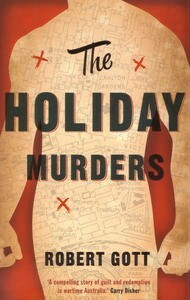 Set over the Christmas to New Year holiday period at the end of 1943 the book opens with police being called to a crime scene. Xavier Quinn has been brutally tortured and murdered by, on first appearances, his father John who subsequently committed suicide. However it is soon clear that both men were murdered though a motive for the gruesome crime is not immediately obvious. Mary Quinn, Xavier’s sister, is an actress in radio dramas and has discovered the bodies on coming home from work with her friend Sheila. She can’t seem to provide the police with any leads as to who might have committed the awful crime though she does admit that the family was not close. She describes Xavier as a religious zealot of unsound mind who didn’t really communicate with anyone while she and her father were at odds over her choice to work as an actress. The police wonder if there might be some religious motive to the crimes but then discover some reading material that suggests a political motive. This in turn leads to the involvement of the military’s Intelligence boffins and leads the investigation into the path of Australia’s very own (and very real) Nazi-sympathising fascists. It’s difficult to know where to start with the list of things I loved about this book but I think the characters (just) edge out everything else as my favourite element of the novel. Titus Lambert is the Inspector in charge of Victoria’s newly established Homicide squad though with manpower shortages the squad is not teeming with numbers. He is an unorthodox fictional detective in several ways, most notably due to his very happy marriage. Indeed his wife, Maude, is really an extra member of his squad as he discusses all his cases with her and, on occasion, even shows her evidence. This could have come across as hokey but Gott does a great job of making the relationship seem very realistic, to the point that I did wonder if it isn’t a jolly good idea to have married police detectives. Rather than having a host of awful memories and images turning him into the usual angst-ridden, alcoholic mess Lambert is able to share his burden and also gain a fresh, intelligent perspective on the cases he confronts. It seems eminently sensible. The Homicide squad is rounded out by freshly trained Sergeant Joe Sable who is keen but lacks confidence and some of the skills he needs and Constable Helen Lord who seems more suited to the role but as a woman is ineligible to rise any further in the ranks. She is, not unreasonably, a little bitter about this and sometimes her frustration affects her work. Joe is Jewish, though without a very religious upbringing, and is struggling to come to terms with the news that has started to come out of Europe regarding the Nazis’ treatment of the Jewish people. His feelings of guilt and impotence over this lead him to jump at the chance to assist the Intelligence people with the infiltration of a local group suspected of having National Socialist sympathisers and this work, in turn, tests his loyalties to Lambert and the Homicide team. Early on we meet the menacing brute responsible for the murders but, rarely, this doesn’t lessen the tension and suspense of the novel for readers. Partly this is because we’re worrying who will be the next victim and partly because this isn’t one of those books in which you know the police will triumph over the bad guys. The depiction of the band of hate-filled bigots for whom violence comes as naturally as breathing is all the more chilling because Gott not only makes you believe in these particular fictional people but also that they have real life counterparts, even today. But not all the bigots are Romper Stomper style thugs; the book forces readers to reflect more generally on the many insidious small ways that bigotry was, and is still, allowed to flourish in the wider community. In addition to all of this the novel has an authentic historical feel, with loads of references to real world people and events and a million little details that make you feel as if you’ve been transported back in time, and a thoroughly gripping plot. Every time I thought I had worked out how things would resolve another element or twist came to light and the resolution, which I stayed up long past my bed time to get to, was a stunner. I’m hopeful this is the first of a series of novels featuring these characters and I highly recommend it. Here’s a link to a fascinating interview Robert Gott and his publisher did with Michael Cathcart on Radio National last year which discusses the process by which this novel, which started out as the fourth Will Power book, came to life. At the time of this interview the novel wasn’t finished, it even had a different title. 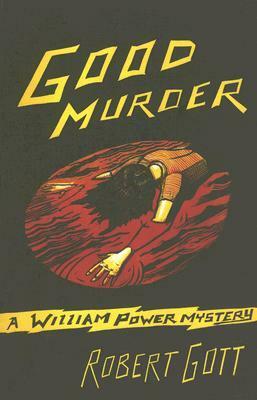 Robert Gott’s GOOD MURDER is, if you need a genre label, a comic historical caper. It introduces William Power, possibly the world’s most out-of-place Shakespearean actor, who in 1942 is touring rural Queensland while war wages across the globe. He and his fellow actors, touring under the name of the Power Players, are able to engage in their artistic pursuits because most are physically disabled in some way, with Will’s own flat feet being the least disfiguring ailment, and the remaining members are just plain unsuitable for conscription (one is a woman, the other ‘a queer’). With an allotment of fuel coupons they are allowed to drive the country bringing entertainment to the masses, though it seems from the outset that the people of Maryborough would much rather visit the circus or see a popular play than Will’s planned production of Titus Andronicus. Amidst searching for lodgings and a suitable venue for their performances and undertaking rehearsals and some alarming alterations to the script to account for the number and limitations of the actors on hand, Will and his fellow actors quickly become embroiled in the town’s activities. In return for a reduced room rate one of the troupe takes over cooking duties at a run-down hotel and Will squires a young local girl to the pictures. Unfortunately for Will the girl, Polly Drummond, disappears soon after his date with her and when her body is discovered in the local water tower Will is the prime suspect in her murder. He is not overly surprised at the suspicion of the police and other locals but is a bit put out by his own troupe’s seeming willingness to accept his guilt. In attempting to clear his name he spirals further and further into desperate farce as the bodies, and the evidence of his guilt, mount. Will isn’t a traditionally sympathetic character, being somewhat arrogant, self-absorbed and even dimwitted at several key moments. But his biting humour alleviates the worst of his traits and I couldn’t help fut feel sorry for his various predicaments. That a man with ambitions of producing memorable Shakespeare should end up playing in a still-operating skating rink in the cultural wasteland that probably was rural Queensland in 1942 seems a harsh punishment just for being a bit of a narcissist. The fact it is his own lack of social skills that provides most of the reasoning behind him becoming an object of suspicion is something I can personally empathise with. There are a lot of other characters in the novel, almost too many really for any to really shine, who collectively add local colour and some depth to the story. Perhaps the most interesting of these is Peter Topaz, the one local cop who doesn’t make snap judgements about Will’s guilt, though Will’s most trusted fellow actor Arthur (who has only one arm and one testicle) is also quite engaging. There is a melancholic overtone to his relationship with Will towards the end of the novel when Will is quick to suspect Arthur’s own role in things criminal and fails to see the irony of his own rush to judgement after having been on the receiving end of similar vilification. I liked the fact that Will didn’t suddenly shed is self-absorption or suddenly develop psychological insights beyond is capabilities as might have happened if this were a different kind of novel. GOOD MURDER’s atmospheric depiction of wartime Australia alone is worth reading it for, offering a myriad of small details that bring the period alive. The various means people have of circumventing austerity measures imposed by the government, the way some towns thrived due to being able to provide infrastructure for the war effort and the many ways that normal life goes on regardless of the dire state of world affairs all play out here. Its combination of satire and farce won’t appeal to everyone but if you do like that kind of humour and can handle a bit of judiciously placed crude language then I highly recommend this novel. Robert Gott’s William Power series currently stands at three novels and this month he published an unrelated historical novel entitled THE HOLIDAY MURDERS.